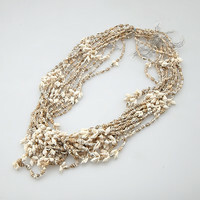 This implement is the most recognized hula implement. 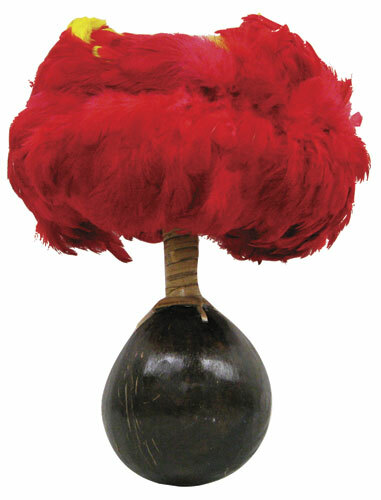 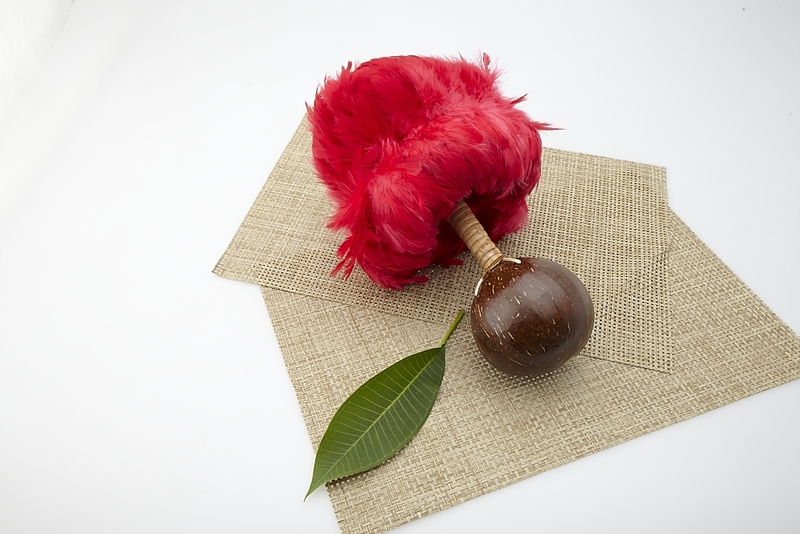 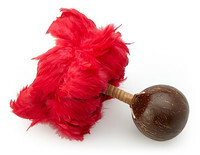 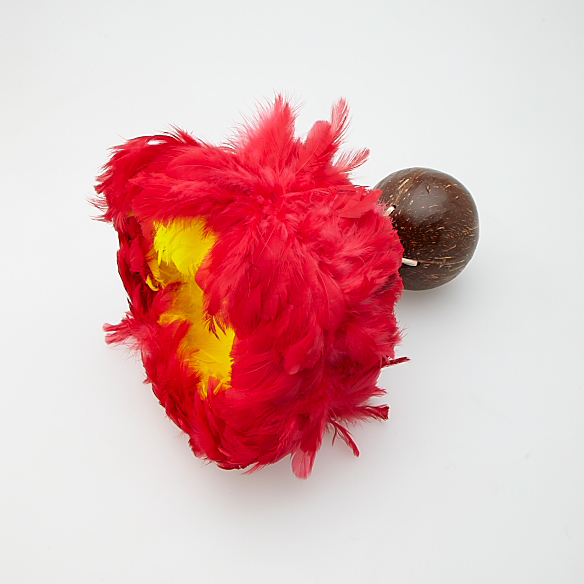 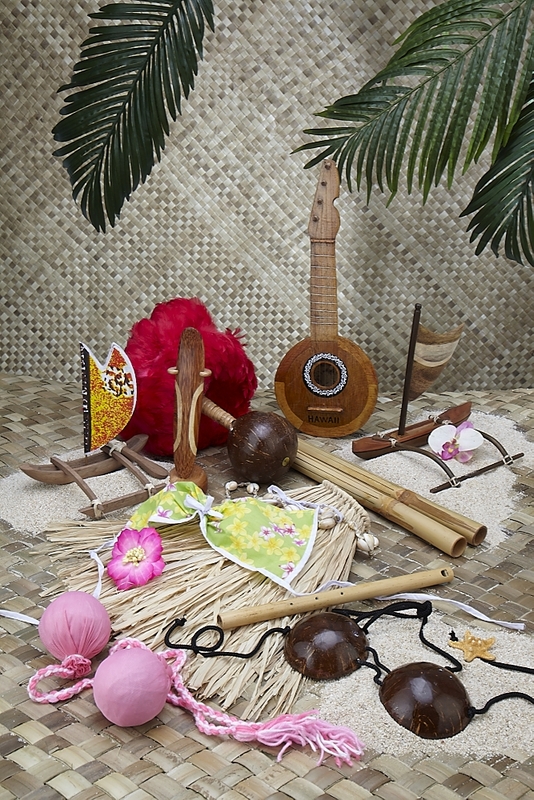 Vibrant red and yellow colored feather gourds filled with seeds are used in Hawaiian hula add excitement to the dance. Listening to the rhythmic sound of the Uli Uli and watching the vibrant color of feathers also tell a story.